Check out these success stories from Weebly site creators. Get inspired by real people creating thriving businesses. Christine started with a dream of a few clients in the Seattle area, but now this retail business consultant and mother of two is about to write her first book, and launch a podcast and her own YouTube channel. It’s growth she never imagined, all while making a direct impact on the local economy in her own community. Her site serves as a place for potential clients to learn more about Merchant Method and has helped her reach retail business owners she never otherwise would have, in her own city of Seattle and beyond. Raising three boys under the age of five is a full-time job in itself, but Emily of Backwoods Beer Soap couldn’t resist the opportunity to let her creative juices flow, or in this case bubble up. When her 9 month old developed severe eczema, this stay-at-home-mom read about the benefits of hops for sensitive skin. That’s when she decided to use leftover beer at her husband’s brewery in Carson, Washington to make handmade soaps for her boys. Turns out, the whole town wanted them too. Now she’s selling her one of a kind soaps through her Weebly eCommerce site, stocking them on the brewery shelves and talking with distributors to take Backwoods Beer Soaps to the next level. What started as a funny food pun turned into a thriving t-shirt business for this San Diego husband and wife. Their Weebly site helped them reach customers around the world in a matter of months, quit their ‘day jobs’ and hit the west coast highways to craft fairs and festivals in the beloved VW van they’ve lovingly dubbed their third employee. As Cyndi likes to say, they turned their Hobby to a Jobby. It’s almost impossible to reinvent the wheel, but somehow the lovable couple behind the Dharma Yoga Wheel in New York City managed to do it, and build a thriving business in the process. Nine months after launching their Weebly site, they broke a million dollars in online sales and are shipping their product to dozens of countries. The most rewarding part? Helping people open their hearts, backs, shoulders and discover yoga in a new way. Without an easy to use online store on Weebly, Dov and Raquel say this life changing business would never have happened. A sudden job loss coupled with the loss of her husband left 68 year old Betty with the choice to either live off Social Security or start the business she’d been putting off for years. As they say, do something you know, and this feisty New Yorker knows chocolate covered pretzels. Betty also knew in order to be successful in 2015, she needed a website. She was nervous, a bit skeptical, but determined and within a weekend this grandmother and retired educator built a thriving eCommerce site. She’s expanded into local fundraisers, gift baskets and even launched a gluten-free line to meet new demands. It started with a simple frame made from an old piece of fence found lying in the yard. That four-sided wood piece was the literal framework behind Alibi Interiors, a reclaimed wood company in Aptos, California. This husband and wife tag team every aspect of their business together. Chris builds the beautiful product, Paige builds the beautiful website. Their growth has been astronomical since they started four years ago and they say Alibi Interiors is their dream job. They never knew they could easily achieve it simply by taking a risk and going for it. Saving century old letterpress machines was more than a passion project for 69 year old published poet, Joe Green. It was a no brainer. Using a modern machine to build a website? Well, that was a new challenge. But, getting his one of a kind poetry prints online and on an eCommerce store was his way of using new technology to save an old one: the ironclad, inky, time-consuming art of hand-printed letterpress. He wants you to know — if he can build a website, you’ve definitely got this. If you’re a knitter you likely have two enemies: curious cats and dirty floors. Kate from Cooperstown, New York knew there had to be a better way to keep expensive yarn protected from these very real knitting nightmares. It’s why she invented the Yarnit from her remote farmhouse. 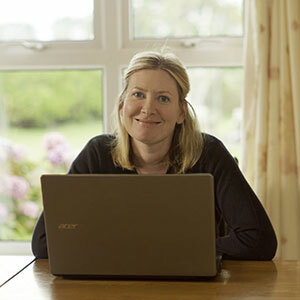 After getting taken to the cleaners by a web designer, on the night before a major event and in the 11th hour, she decided to build her website herself. The Yarnit is now the new gem of the knitting world and Kate wakes up every day to orders from all over the world. She says retirement is overrated and she’s happier running a thriving small business and taking on new challenges each day. Caroline hadn’t picked up a paintbrush in 15 years, but when she moved from Paris to San Francisco, the vibrant colors of the city inspired her to cover a white canvas in hot pink, mint and yellow. She always thought you had to be “an official artist” to have a website so she started on Etsy, but then realized she wanted something more customizable. She wanted the digital storefront for her art to be as unique as the pieces themselves. She built a site on Weebly and can now confidently say, she’s an ‘official artist’ after all. Michelle from xobruno started her handmade leather bag business with a digital storefront before considering investing in a brick and mortar. The detailed construction, personalized touch and craftsmanship in each piece is something she learned from her grandmother, the namesake of her company. It’s been noticed and appreciated by customers around the world with online orders from from Russia to Reno. Michelle’s eCommerce store growth eventually enabled her to open her first studio and storefront on Burnside Street in Portland. This close-knit family called the city home until they decided they were all ready for a change of pace. They ditched the hustle bustle for a quieter, more connected farm life in the countryside of Washington. Mind you, none of them knew how to farm, but they were so inspired by the concept of rotational grazing, knowing your local farmer and hopefully changing the way the world eats, they decided to take a risk. Now, Botany Bay Farm's meats, poultry and eggs are stocked in high-end local grocery stores and they use their eCommerce site to take orders online. They’ve grown closer as a family, learned how to birth a cow on YouTube, plant a garden and yes, build a website. They say they are the next generation of tech-savvy farmers! The Cotswolds of England is known more for its rain rather than its snowfall. But mother nature didn’t stop these two blokes from starting the only handmade snowboard business in the UK. They called it DOUK- which stands for David Ombler UK- and because it’ s a playful pun on the dukes of England. They are proud to have hand crafted snowboards for notables in the snowboarding scene, the King of Bhutan, and hundreds of other people around the world. They even run their business from the slopes, checking orders and responding to customers on their mobile app mid-mountain. Sick concept, bro. She’s the first to tell you she’s a dairy farmer’s wife and not a web designer, but that didn’t stop this mother of two boys from starting a side business and e-commerce site on their farm in the remote southwestern part of Ireland. She had her light bulb moment for the business while trying to save money for her own farm. She switched to LED lights, cut her electric bill by 70% then decided to source and sell those same “fantastically bright” lights directly to other farmers across Ireland. It’s a way for them to help fellow farmers, but also supplement the often unstable income of dairy farming. Passionate about interior design, Alexander created Wall-in from a coworking space in Angers, in Western France, where he cherry picked each design wall covering and distributing them to clients. Just by building his website and optimizing the SEO, this young entrepreneur quickly saw an increase in orders and business, which allowed him to focus on bringing his growing company international. Because of his explosive growth online, Alexander is planning to open a new branch in Hong Kong in 2016 to address the increasing demand he already has from Asia. It started with friends, and then friends of friends. 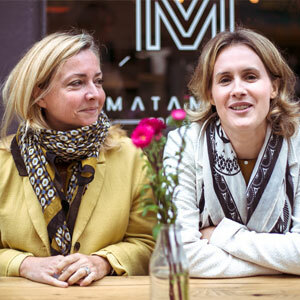 They all asked Hélène and Larissa to help them plan their visit to Paris: they wanted it to be artsy, romantic, or with a lot of parties, were both locals with deep knowledge of the secret gems of Paris, that only Parisians can navigate. Facing increasing demand, they decided to turn this fun hobby into a new small business, and through their website, any traveller willing to experience a more local taste of Paris can reach out to them and plan their trip, live ‘their’ Paris, while enjoying exclusive insider tips. Markus was supposed to take over his dad’s carpentry shop, a longtime family business. 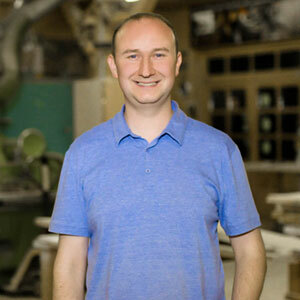 Recently his biggest client switched to his competitor, though, so he knew he had to get creative to find new customers who have a passion for handmade wooden furniture. It was time to move the shop online with smart web design at an efficient cost. Markus set up his page on Weebly, and clients from all over Europe started showing their interest. 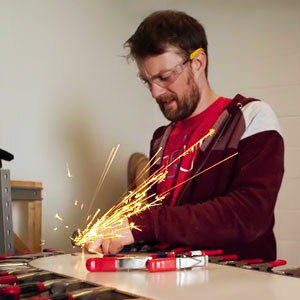 Now he’s back building quality furniture and moving the old family business into a modern digital storefront. 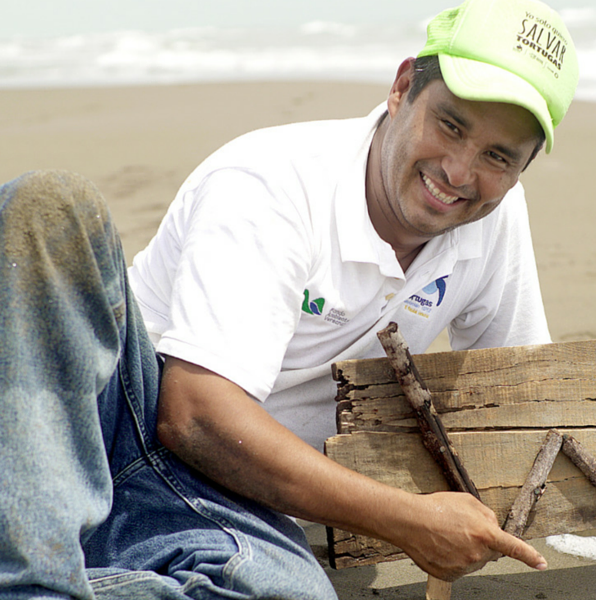 Ricardo Yepes is the director of Fundación Yepez, an NGO dedicated to the preservation of five turtle species –out of seven existing species in the world– which inhabit the coast of Veracruz. With Weebly, his foundation has not only become an internationally recognized organization, but he has also been able to attract volunteers from all over the world and receive donations online. See what Weebly entrepreneurs are up to.